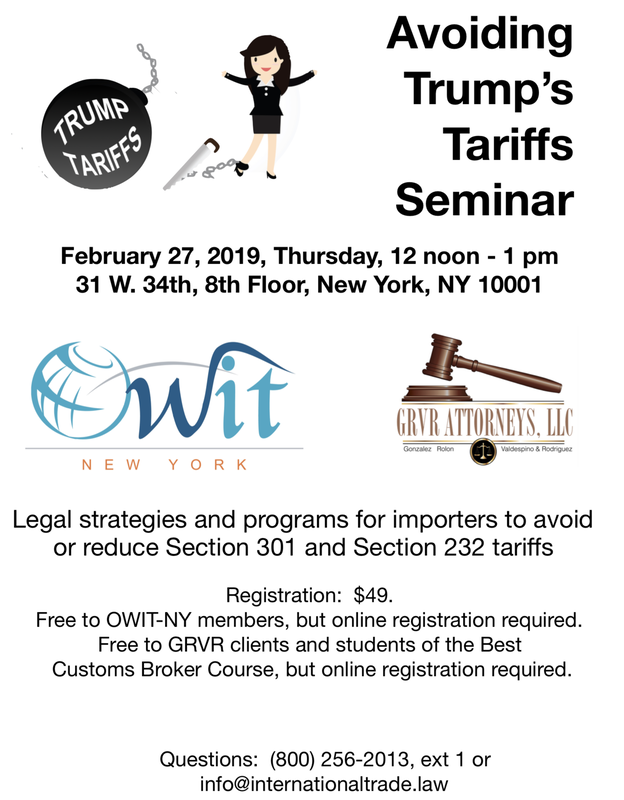 Free for OWIT-NY members, clients of GRVR Attorneys, and Students of the Best Customs Broker Course. Online registered is required. Let us know which webinar you would like to attend.